Facebook will share the content and related information of the more than 3,000 ads it sold to Russian-linked accounts with the House and Senate intelligence committees, the company said Thursday. Facebook CEO Mark Zuckerberg held a Facebook Live event Thursday afternoon to explain the company's 9-point plan to deal with election interference. "We are in a new world. 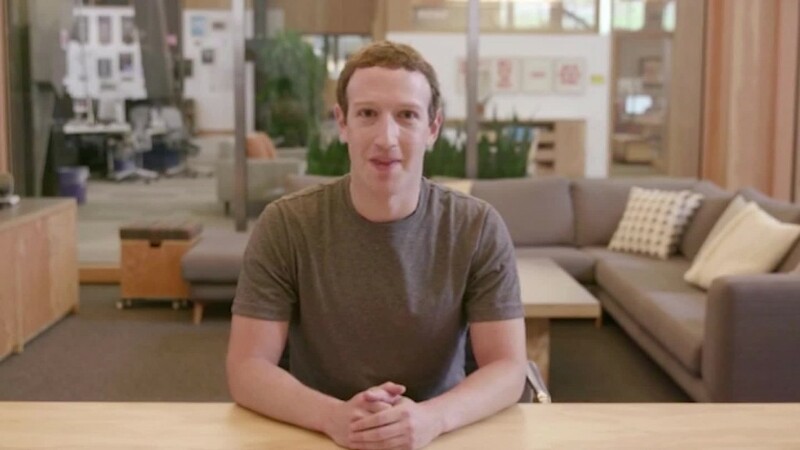 It is a new challenge for internet communities to have to deal with nation states attempting to subvert elections, but if that's what we must do then we are committed to rising to the occasion," Zuckerberg said. Facebook has already handed over copies of the ads and information about the relevant accounts to Special Counsel Robert Mueller, who is conducting an investigation into Russian meddling in the 2016 election. But it had not yet given the ads to Congress, despite having told congressional investigators more than two weeks ago that it had sold more than 3,000 ads to accounts linked to a Russian troll farm between June 2015 and May 2017. President Trump dismissed the news on Twitter early Friday: "The Russia hoax continues, now it's ads on Facebook." After the Facebook Live event, a source familiar with the issue told CNN that the company is planning to deliver the information concerning the 3,000 ads "in a matter of days." In addition to sharing the ads, Facebook will change how it handles political advertising in the coming months, Zuckerberg said. Political ads will include a disclosure about which Facebook page posted them, and visitors to that page will be able to see all the ads a group has run on the platform. Zuckerberg claimed that Facebook's new approach would offer a "higher standard of transparency" than is currently required by law for TV and other media platforms. Facebook is also strengthening its own review process for political ads, which are often bought without any interaction between buyers and human Facebook employees. "I'm not going to sit here and tell you we'll catch all bad content in our system. We don't check what people say before they say it, and frankly I don't think society should want us to. Freedom means you don't have to ask for permission first," said Zuckerberg. Zuckerberg says the company is adding 250 more people to its election integrity team, expanding its partnerships with official election commissions around the world to flag risks, and looking into ways of sharing similar information about bad actors with other tech companies. It is also looking into expanding its anti-bullying system to political harassment. The move comes amid an increased call for the FEC and Congress to strengthen regulations regarding political ads on sites like Facebook. Currently, Facebook is not required to include disclaimers on political ads or disclose information about who bought them and how much they paid. In a blog post published Thursday afternoon, Facebook general counsel Colin Stretch said, "We believe it is vitally important that government authorities have the information they need to deliver to the public a full assessment of what happened in the 2016 election." "That is an assessment that can be made only by investigators with access to classified intelligence and information from all relevant companies and industries — and we want to do our part," the post read. "Congress is best placed to use the information we and others provide to inform the public comprehensively and completely." "We believe the public deserves a full accounting of what happened in the 2016 election, and we've concluded that sharing the ads we've discovered, in a manner that is consistent with our obligations to protect user information, can help."